In times past, horses would have been seen as just another food source. But once people learnt to ride, this opened up a whole new world, the horse was a fast means of transport and for hundreds of years a new relationship between man and horse was forged. Today, horses are used mainly for sporting and recreational purposes. 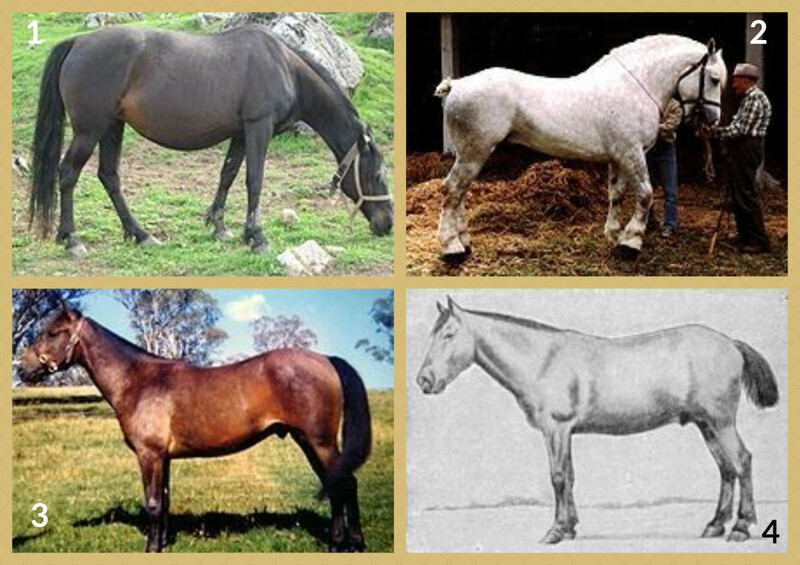 There are over 150 different horse breeds and each of these is the result of some influence by people. I believe that horses are graceful, full of character and great companions. I hope that you enjoy your visit as much as I have enjoyed putting this article together. What is a Horse Breed? All horses are members of the Equidae family. 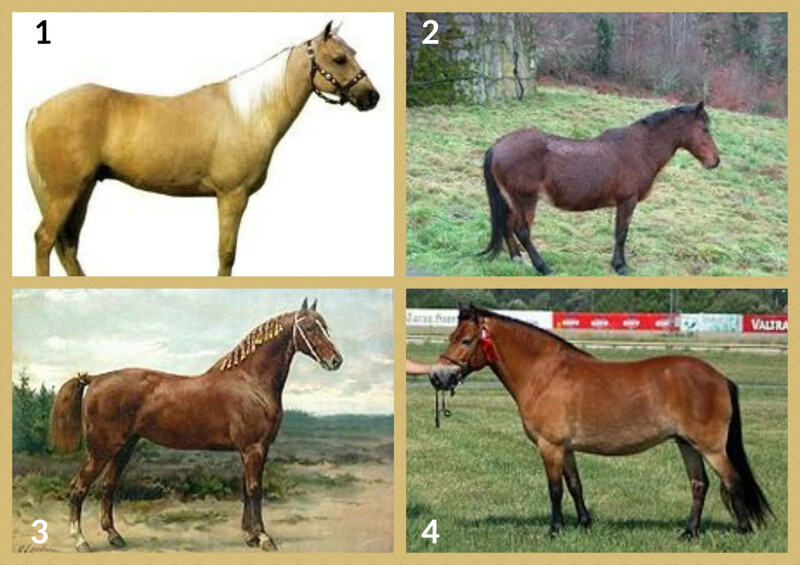 The horse is then further categorised into different breeds. The term - breed - describes a group of horses that share distinctive inherited characteristics. Therefore each breed has common ancestors and a similar genetic makeup. 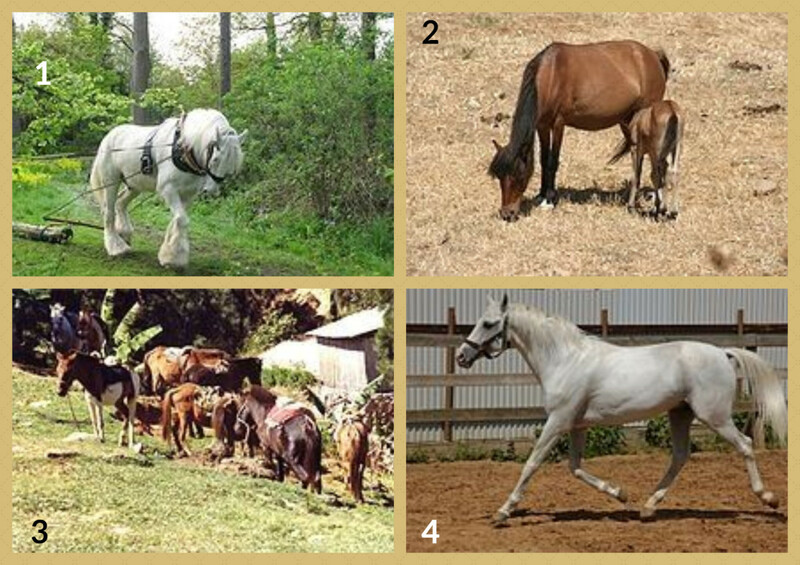 In addition, there are natural breeds and artificial breeds of horses. NATURAL BREEDS are those which have developed their own characteristics that assist them with surviving in their particular habitats and have passed these down to the next generation. 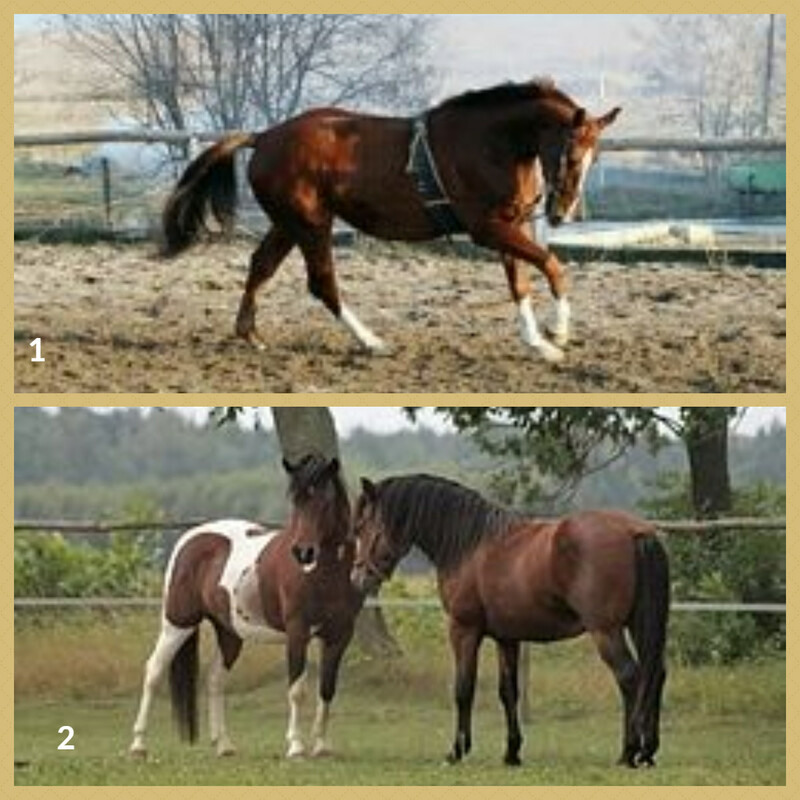 ARTIFICIAL BREEDS have characteristics that have been selected for by man and through cross breeding have created horses bred for specific purposes. What is a Horse Type? 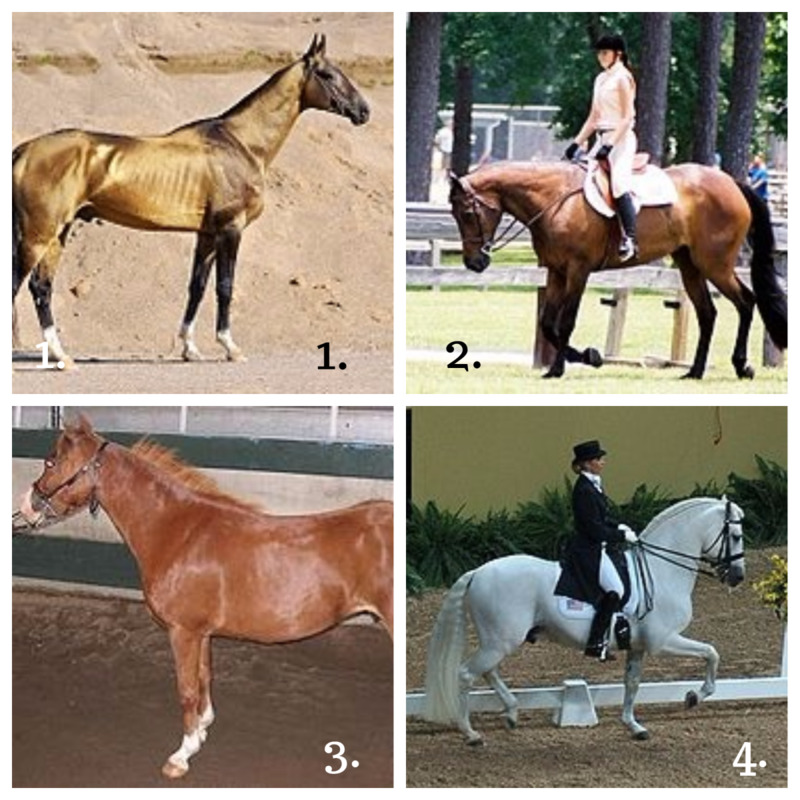 There are horse or pony types that are not breeds, but which do have a specific characteristics. 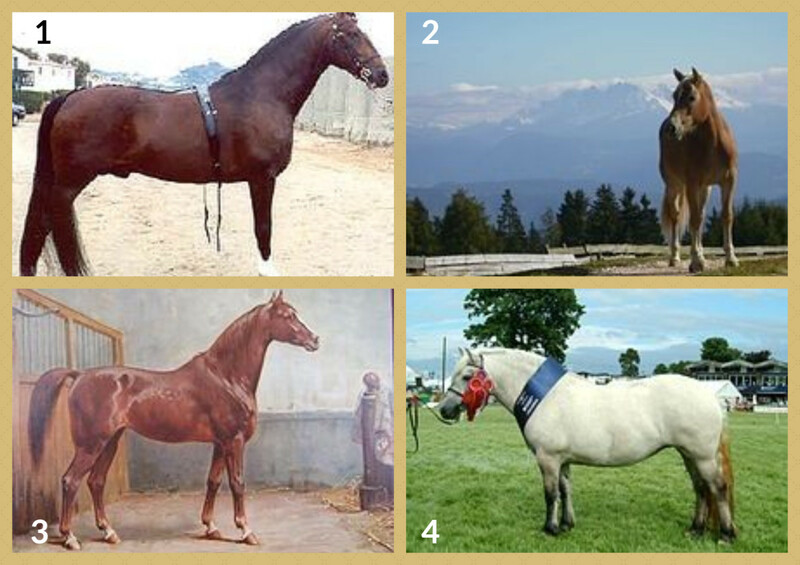 A type is a horse that is suitable for a specific job, but which can actually be from any breed. For example a Hunter can be any breed of horse that hunts. The Cob - the Cob characteristics are that they are a sturdy and solid build and they are a great weight carrier, built for stamina rather than speed. There are two breeds of Cob, the Welsh Cob and the Norman Cob. The Welsh Cob was known about as far back as the 16th Century. 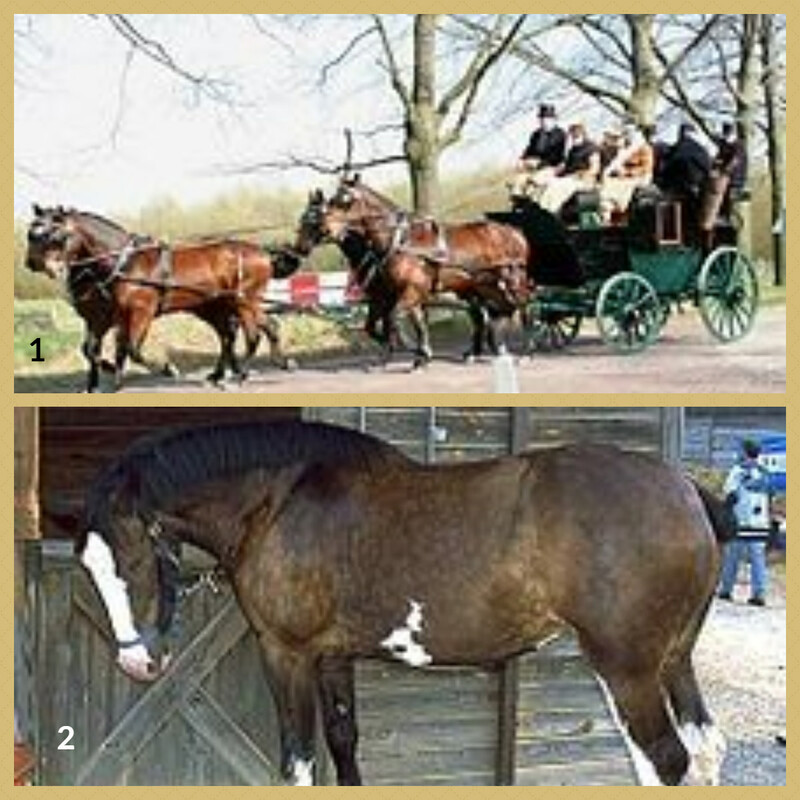 Today the Cob is often seen competing in many equestrian events such as showing, jumping and driving. The Norman Cob is descended from small horses called Bidets that lived in Brittany during the time of the Roman Empire. The Hack - the Hack is considered to be the most majestic of horses with an excellent character. The Hunter - the Hunter should be strong and sturdy with powerful hindquarters. They should have a long neck to allow a good length of rein. The Polo Pony - the Polo Pony needs a mixture of speed, courage, stamina, agility and balance. The Riding Pony - the Riding Pony is actually just a small horse. They should be graceful and have perfect manners. The Pony - the Pony should be under 14.2 hands high. Anything above this height and it is a horse. A very adaptive animal that has worked with man throughout our history. 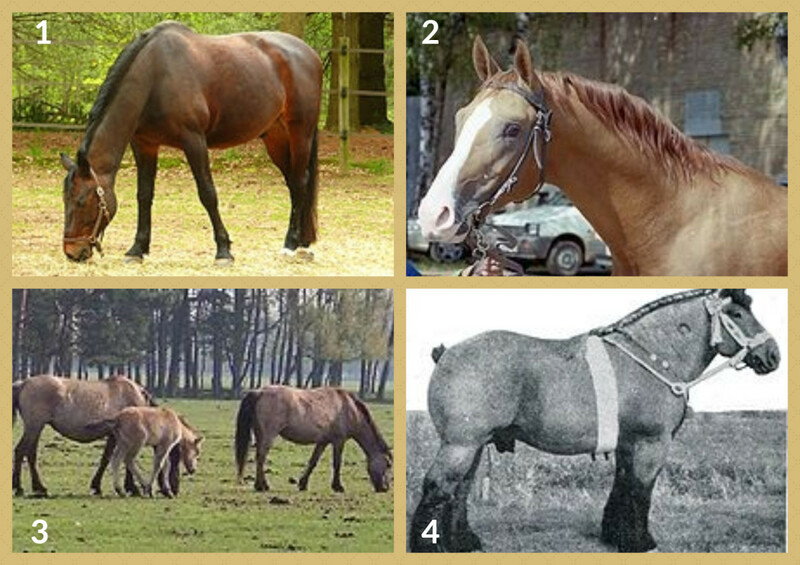 Do you have a favourite horse Type? How long do Horses and Ponies Live? This can be quite a difficult question to answer exactly. 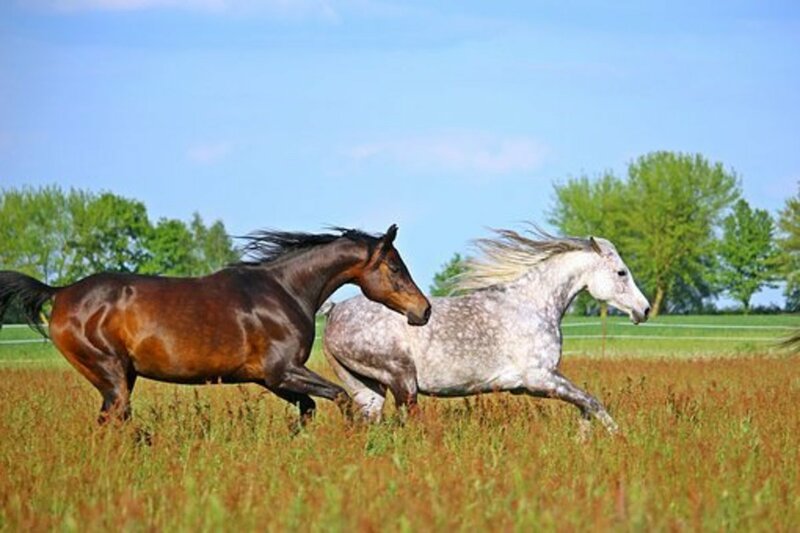 It is not uncommon for horses to live for around 30 years. Whilst Ponies can often live longer. Just like like any other animal, there can be variations to this, with some reports of horses living as long 40 to 50 years. Is it true that horses are called different things as they get older? Foal: all young horses up to 6 months of age. Yearling: from 6 months to 12 months of age. 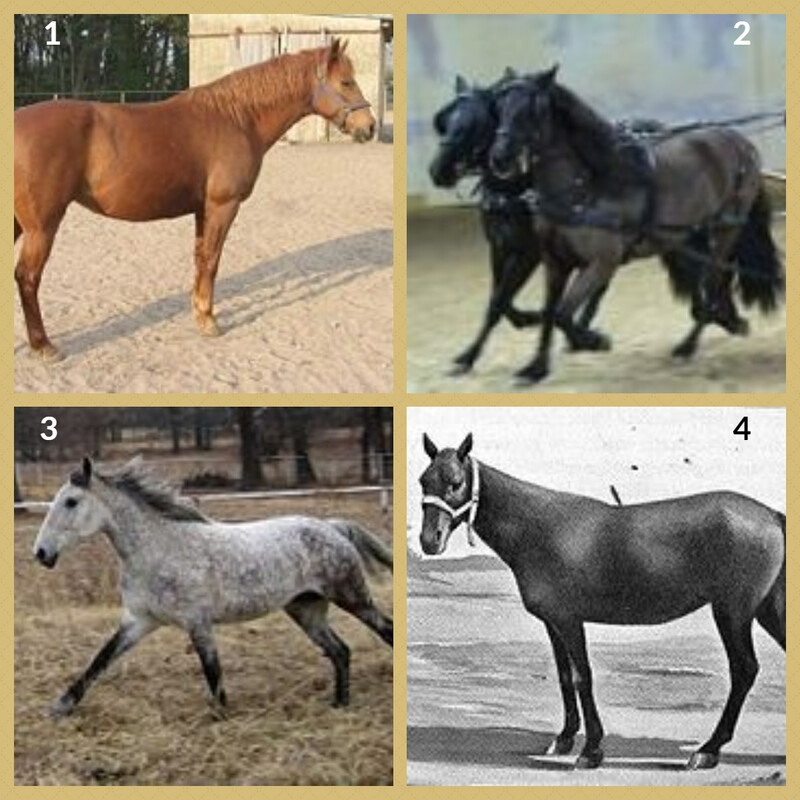 Colt: all male horses from 12 months to 48 months of age, thereafter they are called stallions. Should the male horse be castrated, it will be called a gelding. 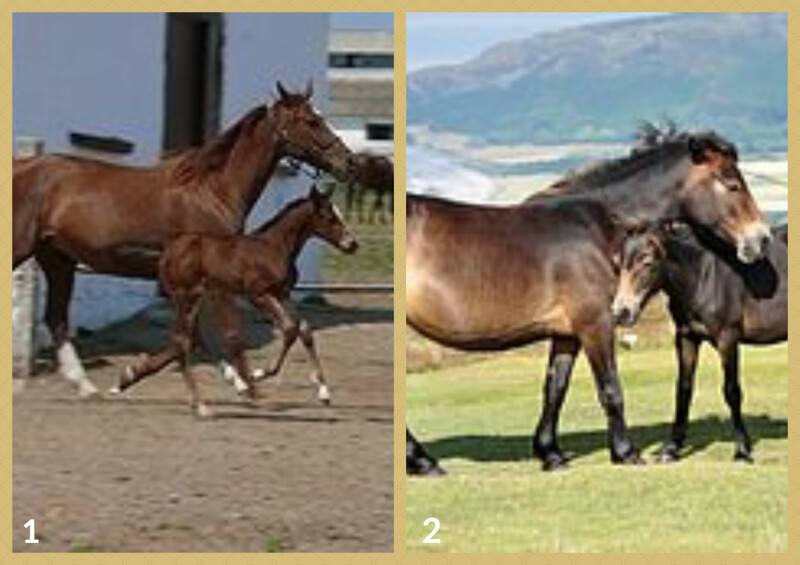 Filly: all female horses from 12 months to 48 months of age. 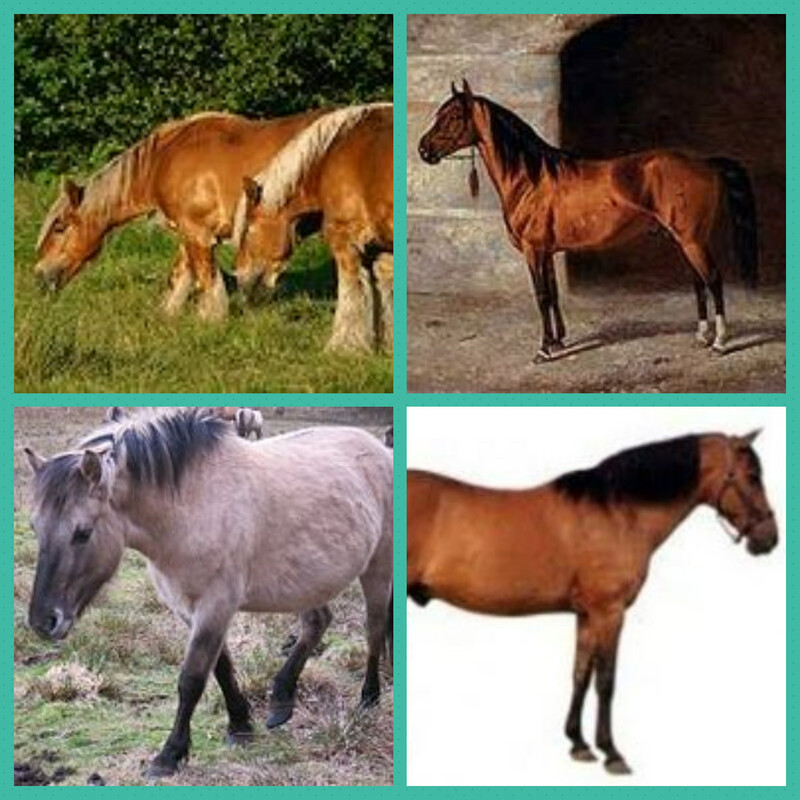 Mare: all female horses from aged 48 months. Four horse chariot races were first introduced to the Olympic Games in 684 BC. One of the most ancient horse breeds that was evolved by the "Teke" and Turkoman tribes in southern Turkmeina. This is a specialised breed of saddle horse that can exist under conditions of heat and privation. They has gorgeous Persian heads and a noble eye. They have long elegant legs and have been called the greyhound among horses by some. The most popular colors are a pale honey-gold, with black points. 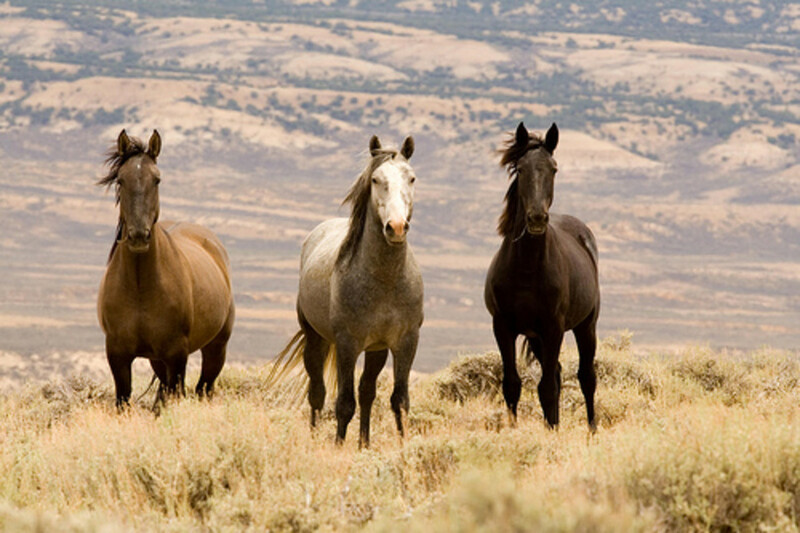 The American Quarter Horse was originally bred to race on the racetracks of Virginia. These tracks were roughly a quarter of a mile long and lent these horses that name. 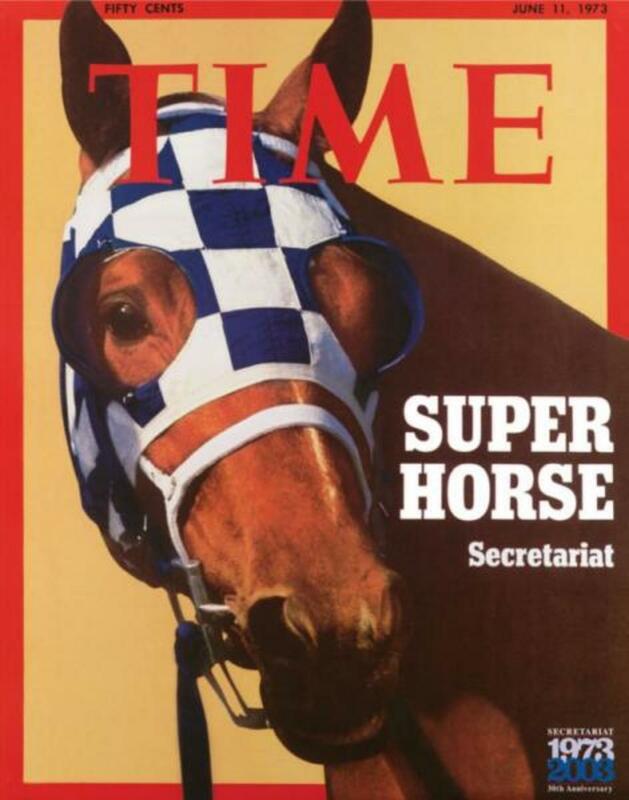 A horse built for fast sprinting. Its special points are its closeness to the ground, its tremendous power and heavy frame. They also have a calm temperament. 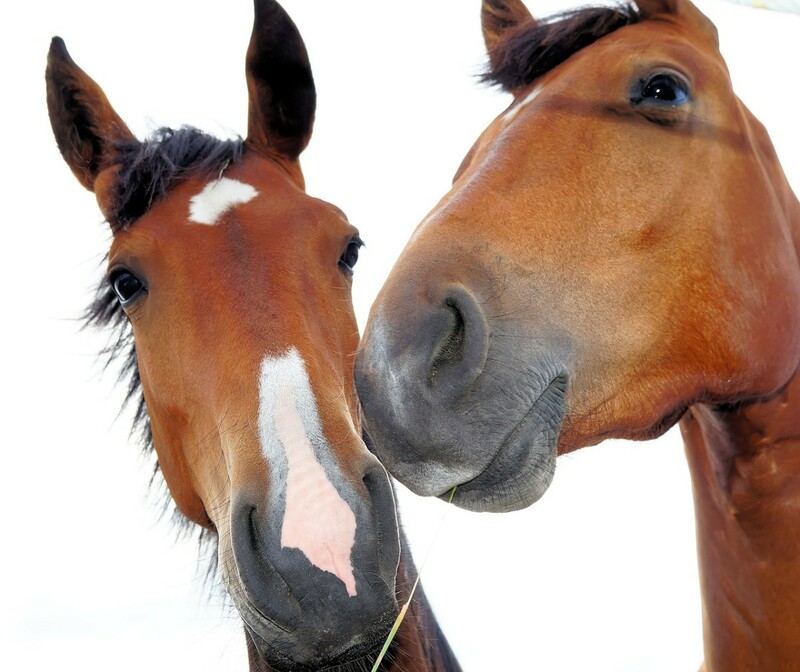 Horses have eyes that are bigger than any other land mammal. The American Shetland can be found competing an a whole range of competitive fields such as jumping, dressage and gymkhana. Height: up to 11.2 hands high. Due to this ponies small size, it is considered an ideal ride for kids and they are often used as children's pets.. Confirmation: An intelligent and fine head. Long and narrow through the back. Broad, muscular hindquarters. St. George, St. Stephen and St. Anthony are the patron saints of the horse. The Andalusian horse comes from the sunbaked region of Southern Spain. It has a compact and muscular frame. In fact this horse has been recognised as a distinctive breed since the 15th century. The Andalusian is considered to be a courageous horse. Height: 15 - 15.2 hands high. Colour: This horse is generally grey. Confirmation: A large and handsome head with large, kind eyes. A strong body with a broad chest and well sprung ribs. Long mane and tail. The Appaloosa is a spotted horse that is much loved by the circus due to its striking appearance and docile temperament. It is believed that the name Appaloosa is derived from a breed of horse developed by the Nez Perce Indians in the Palouse country of Central Idaho and Eastern Washington. Height: 14.2 to 15.2 hands high. Color: The body is pink skinned and covered by a silky white coat with a large number of black spots. Characteristics: Of graceful carriage, with a refined head. Carries its tail high. The Arab Horse is probably the oldest of all the horse breeds and is also one of the most good looking. The Arab horse has an excellent qualities, that most other horse breeds aspire too: a soundness of wind and extreme endurance, Yet the Arab horse is a small horse standing some 14.2 to 15 hands. The Ardennes Horse is considered to be a Belgian of French horse breed. It is an old horse breed and a very hardy horse. In temperament, they are known for being calm and docile. This horse has real endurance and vigour and as such is considered a draught horse. Historically, this horse was used as a cavalry horse. The Ariegeois horse lives in the Pyrenean mountains in the south west of France. It is very well suited to the harsh snowy conditions in which it lives. Height: 13.1 - 14.3 hands high. Colour: Solid black. However the flank can sometimes be flecked with white. Confirmation: An expressive head with a flat forehead. Short ears and a short neck. A long straight back and deep chest. 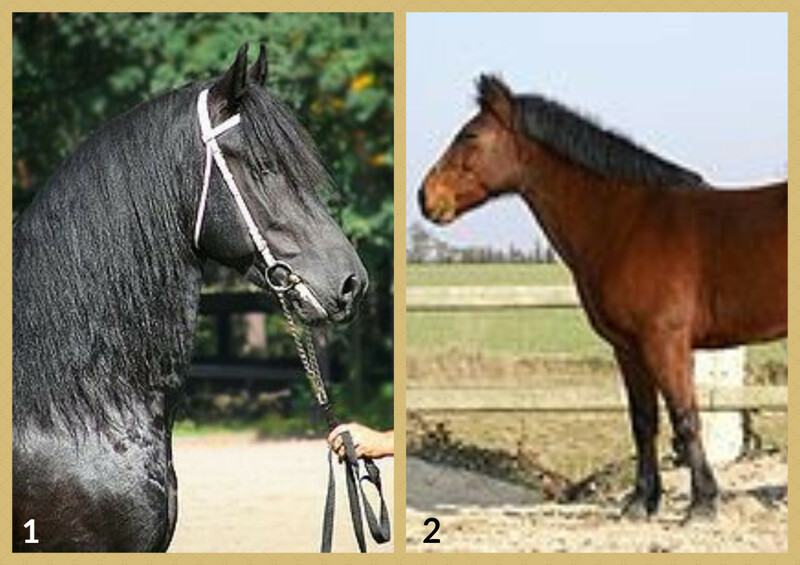 This pony is really the same horse, the two varieties are named after the corresponding and neighbouring American islands on which they have been bred. It is believed that these ponies may have arrived on these islands as the result of a shipwreck. Color: can be any color. A pony from ancient stock. As its name suggests, the Bali Pony, lives on the island of Bali where it has never been bred for any specific trait or characteristic. Instead they carry out all the tasks that the local people require of it such as carrying stones and coral from the beaches. They are quite self sufficient and are often left to fend for themselves. The Barb comes from Morrocco, Tunisa and Algeria. Height: 14.2 - 15.2 hands high. Colour: Predominantly grey, brown, bay and black. Confirmation: A narrow head and arched neck. Has well defined withers and short, strong body. Slender but strong limbs. 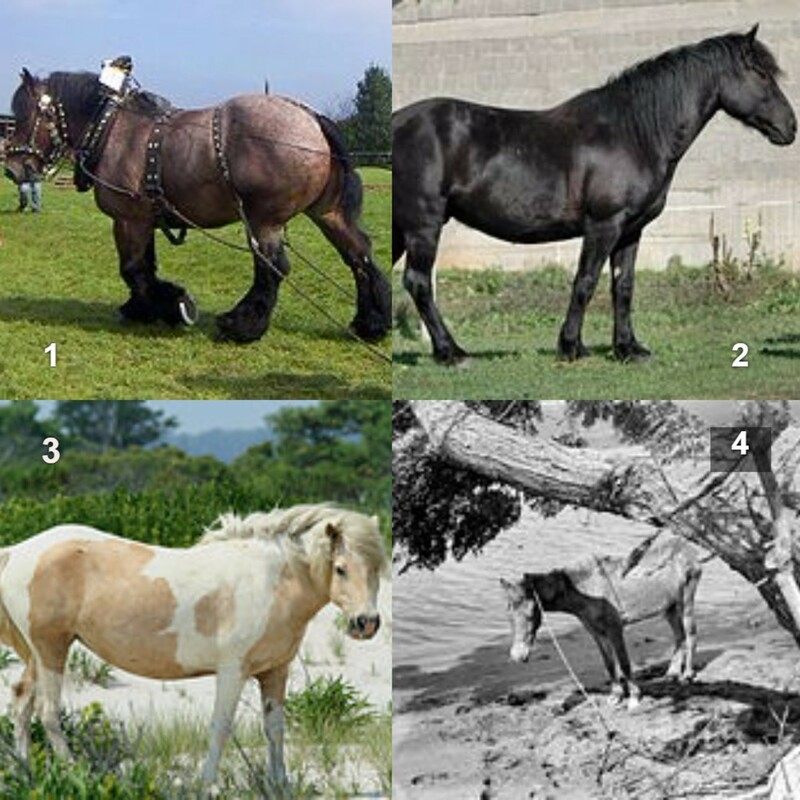 An attractive, yet tough and durable breed of pony. The Bardigiano is well known for being surefooted and possessing a quiet temperament, they can make good children's ponies as well as being considered a good trekking pony. The Bashkir horse is an very old breed of horse. Its origins are in the inhospitable areas of the Ural mountains in Russia. This breed is very much adapted to live in harsh conditions. They are well known for being hardy with a docile temperament. The Basuto Pony originates from around the 1830's in South Africa and was much used in the Boer War. It is a pony with a great deal of endurance and capable of carrying great weights over long distances. Height: up to 14.2 hands high. Colour: Bay, brown, chestnut or gray. Confirmation: Small, thickset with short legs and a long back. The Bosnian pony originates fro Yugoslavia and is an ancient breed of pony. It is thought to have been bred from Tarpan and Asian Wild horses. This pony has a primitive appearance and a heavy head. It can be any solid colour and is between 13 and 14.2 hands high which is slightly smaller than the average size of all ponies. The Bosnian is often used as a general riding pony. The Boulonnais Horse is an elegant heavy horse which is believed to have been brought into France by Julia Caeser ahead of his invasion of Britain. Height: 15.3 to 16.3 hands high. Colour: All shades of grey and sometimes chestnut. Confirmation: A short, broad but elegant head. Large bright ears. Muscular shoulders, broad chest and strong limbs. This has has been produced from the low-lying flat lands of Belgium. It is a large and very heavy draft horse with great traction. Well known for being of extremely good temperament. The Brumby is an Australian horse descended from settlers horses that wandered off into the bush. Today they live in feral herds in the Northern Territory of Australia. Some Brumbies have broken in. Although today they are often thought of as pests as they compete for food with domestic animals. The Burmese Pony is sometimes referred to as the Shah pony. This breed is a mountain pony and they make excellent pack or trekking ponies. They generally have a willing temperament and a quiet disposition. They were once used by British Colonials as polo ponies. This tough little horse is a native of Southern France. Height: 13.1 - 14.1 hands high. Confirmation: A large, square head with short, wide-set ears. A fairly short back and deep chest. The Caspian is an old horse breed. Renowned for its wonderful temperament. Height: 10 - 12. hands high. Colour: Mostly bay or brown. Confirmation: An attractive head with an Arab look. Small ears and a muscular neck. Very hard hooves, often not requiring shoes.. The Cleveland Bay horse is claimed to be the oldest established breed of English horse. This horses breeds main qualities are stamina, substance, stylish appearance, and sheer wear and tear. In the middle ages it was used as a pack horse. More recently it was used as carriage horse. The Clydesdale Horse originates from the middle 18th century and is a draught horse from Scotland.. Height: 16 to 18 hands high. Color; Bay, brown or black. Confirmation: a broad head, wide muzzle and large nostrils and a bright intelligent eye. A well-arched and long neck, high withers and with thighs packed with muscle. The Connemara Pony is found in Ireland. An athletic horse that is often used as a show pony. Stands some 13 to 14 hands. Colors: grey, black, bay, brown and dun. This horse breed dates back to 1878 following a visit made by General U.S. Grant to Turkey, where he was presented with two first class stallions. Finally culminating in the Colorado Ranger breed in 1918. The Colorado Ranger has an excellent temperament and make excellent riding-horses. The Criollo is a native pony from South America. Height: 13.3 to 14.3 hands high. Color: Dun, striped or skewbald. Confirmation: A broad forehead, but with a narrow face. Muscular withers. The Dales horse breed originates from England. This breed probably descends from the old Friesian horse of Europe. The breed is famous for its great strength and endurance. Colour: Mostly black, dark brown or bay. Confirmation: A neat head set on a shortish yet thick neck. A strong muscular body. The Danish Warmblood horse. This breed tends to excel at dressage. This horse breed has been specifically developed for use in competitive sports such as show jumping. Confirmation: A quality head, prominent withers, muscular back and strong limbs. This horse breed takes its name from the Russian Steppes across which the river Don flows. A very hardy and tough horse breed that endures the harsh weather conditions that many other horse breeds would struggle with. Originally bred as cavalry horses. Generally brown or chestnut in color, they are long legged and stand between 15.2 and 16.2 hands high. The Dulmen is a very old breed of pony and comes from Dulmen in Germany. These ponies have been found around the town of Dulmen since the 1300's. At one time they lived in large herds, although these days they is said to only be a single wild herd remaining. The Dutch Draft Horse is one of the most massively built and muscled breeds of horse in Europe. The horse is known for being willing, with a quiet and intelligent temperament. It has a very short neck and heavily loaded shoulders. The East Bulgarian horse is a horse of refinement and quality. This horse breed is used for jumping, dressage and even as a light draught animal. They have a quiet, though energetic nature and large kind eyes. In color, they are usually chestnut, although they occur in black. The Exmoor is found mainly in Exmoor, in the south west of Devon, England. The adapted to have a highly waterproof winter coat. This is double layered with a short, woolly undercoat and longer and greasy top layer. Height: 12 - 12.8 hands high. Colour: Dan with black points. Confirmation: A wide forehead and lighter markings around the eyes. A compact frame, and short but strong legs. 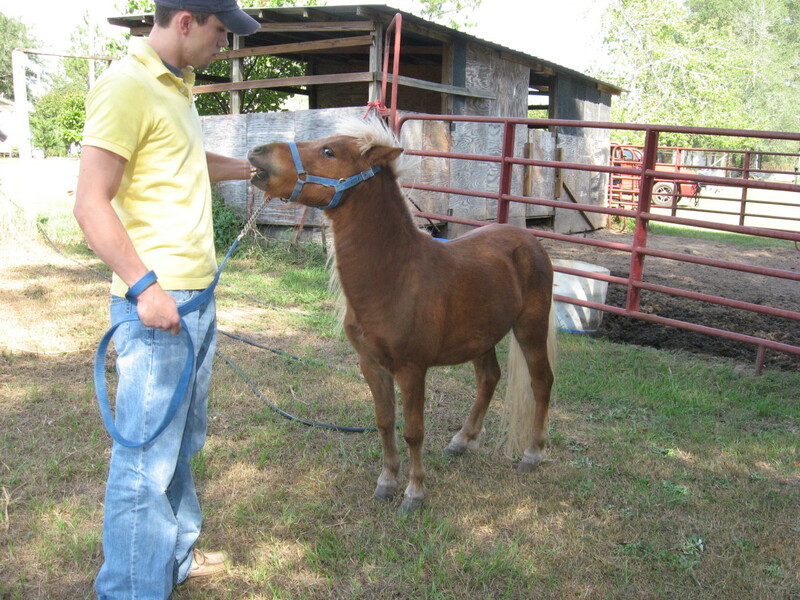 The Falabella is a miniature horse breed that stand at under 9 hands high. They can be quite an attractive looking horse, although due to inbreeding they can sometimes appear to have too large a head for their size. Did you know that the Falabella horse has one or two ribs fewer than other horse breeds? The Fell Pony is from the North of England where some 100 years ago it was used to carry lead from the mines to waiting ships at Tyneside docks. The Fell pony is a great riding-pony. Colour: Black, dark brown, dark bay, grey or dun. Confirmation: powerfully built and alert looking. Long hair on tail and mane. The Florida Cracker horse was only registered in 1989 - even though it is in fact a horse with old roots. It is believed to have been bred from Spanish horses taken to Florida in the 1500's. 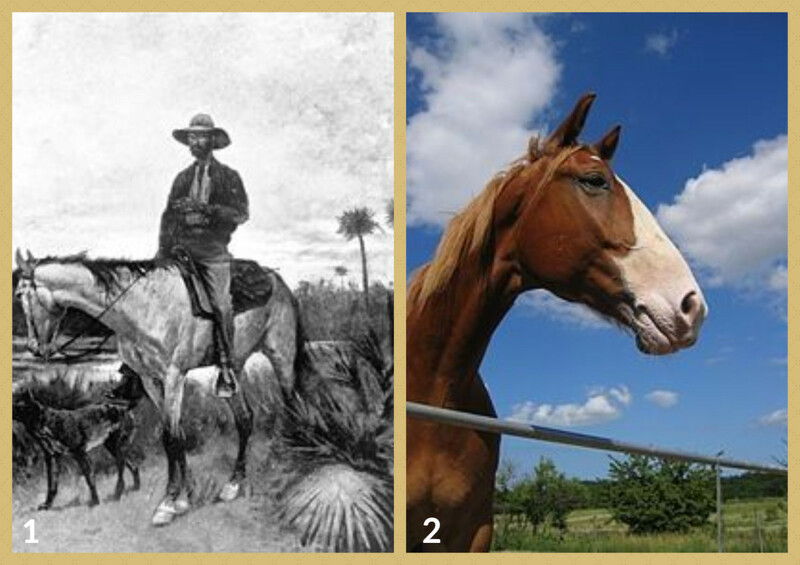 The Florida Cracker is a small horse, standing between 14 hh and 15 hh. They have a Spanish type head and a muscular neck and are much prized for their stamina and their speed. The Frederiksborg Horse is Denmarks oldest horse breed. 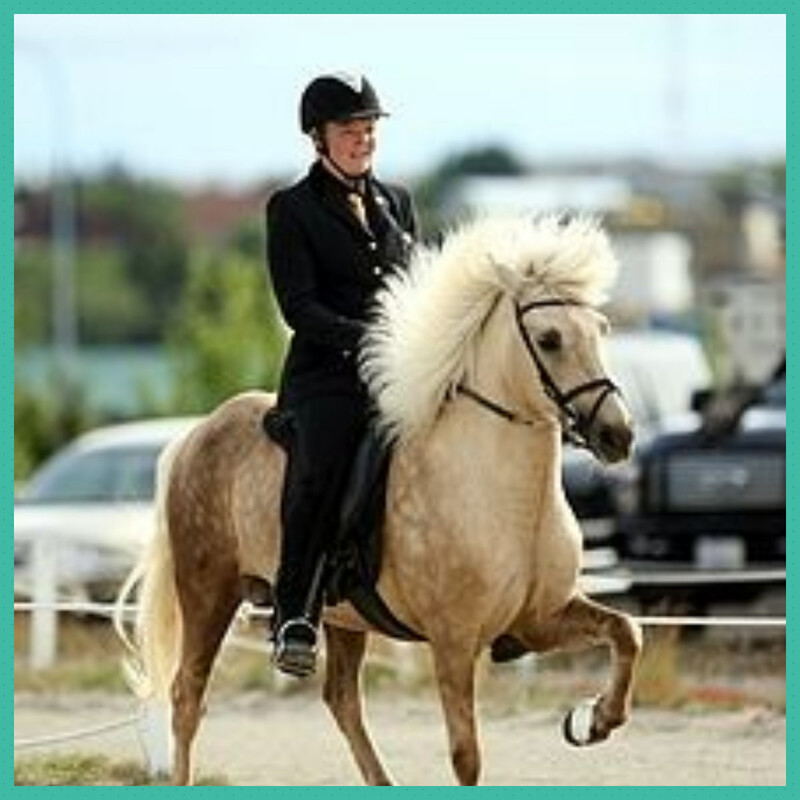 This horse is still being bred in Denmark today, although current demands for a great sports horse have led to a new horse being developed - the Danish Warmblood. The Frederiksborg Horse has a kind head, a short neck and upright shoulders. Height: 15.3 to 16 hands high. A relatively new breed. The French Saddle Pony is a versatile, quiet yet lively mount. Height: 12,2 - 14.2 hands high. Colour: Can be any colour. Confirmation: A small, fine head with alert ears. The neck is good length and set on a deep chest. It has a straight back. The Friesian Horse originates from the Netherlands. They are a light draft horse, but agile and nimble for there size. In the middle ages they were used as war horses carrying knights into battle. Height: 15 to 17 hands high. Color: Black. although sometimes chestnut. Confirmation: Powerfully muscled and agile. Long arched neck., low set tail. The Galiceno originates from Mexico. Height: up to 14 hands high. Confirmation: A nicely proportioned head with a kind eye. Alert ears and a short, but muscular head. Tough and well formed legs. The Garrano pony originates from Portugal. This breed is strong and hardy with a quiet temperament. 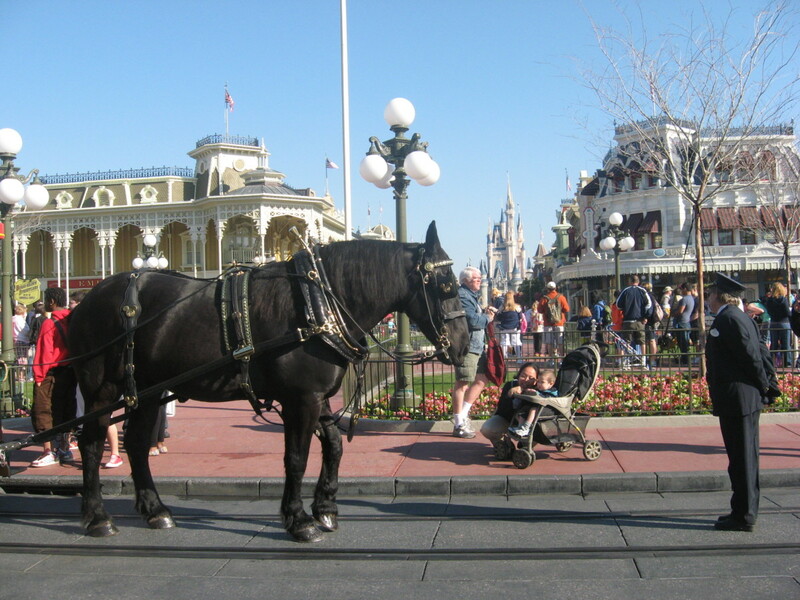 They are surefooted and were widely used as pack horses. Surprisingly, the Garrano is also very speedy and they are also used as trotting horses. This horse takes its name from the Dutch province of Gelderland. It is a beautifully built horse with a very stylish action. In Holland it is renowned as a show horse. Height is between 15.2 and 16 hands. For centuries this little horse was found mainly on the island of Gotland which is in the Baltic Sea. 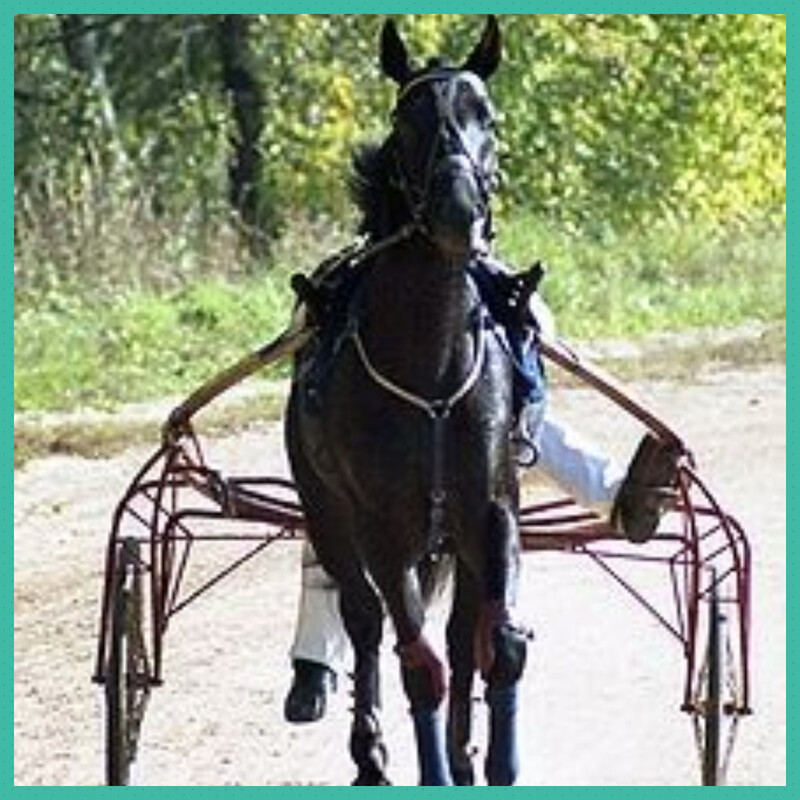 The Gotland pont is quite an athletic jumper and very speedy - so much so that they are often used in trotting races. Height: 12 to 12.2 hands high. The Hackney pony is a recognised horse breed from Great Britain. A tough horse with ample endurance. It has a muscular and arched neck. Color: Black, bay, chestnut or brown. The Haflinger is an ancient breed of horse from the southern Austrian Tyrol. Colour: Chestnut with flaxen mane and tail. Confirmation: A tough mountain breed that is tough and sturdy. An attractive head with a kind eye. Short legs with a broad back. 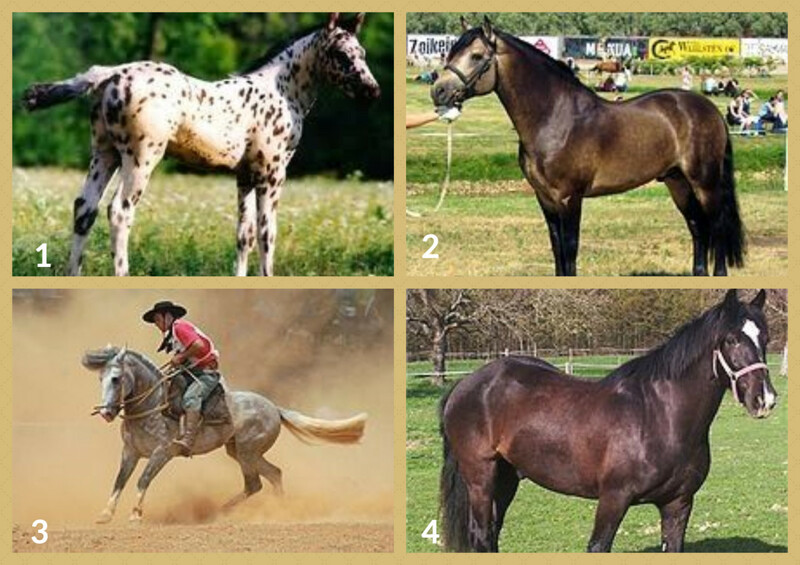 This horse breed has been much crosses with other horses. It is often seen in show jumping events. 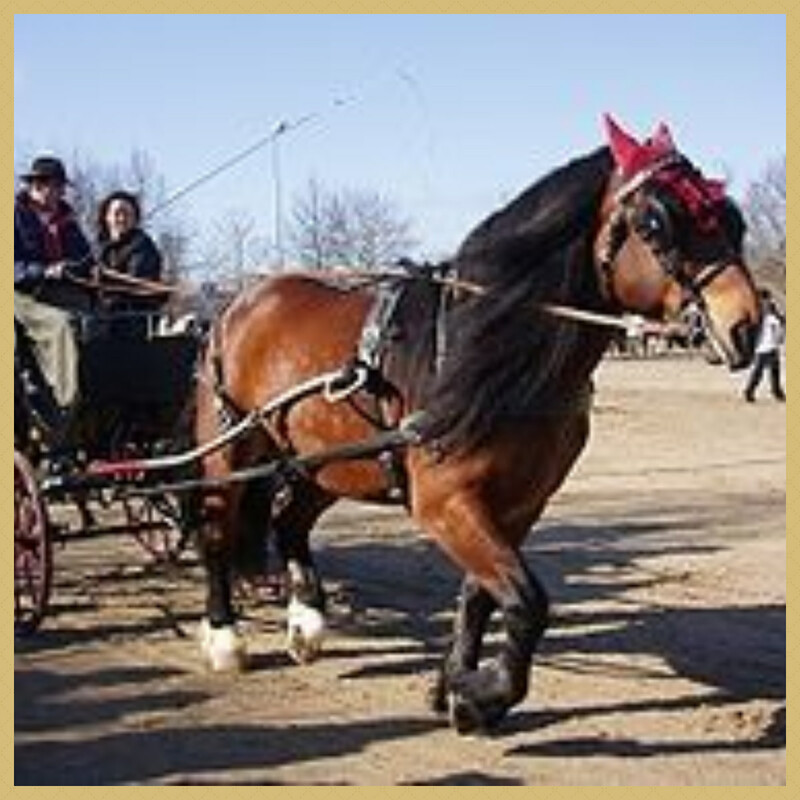 It was originally a carriage horse, but has been mixed with other thoroughbreds to produce an agile and safe horse in competition. A native breed from the Scottish Highlands. The Highlands Pony is the strongest and largest of the mountain and moorland breeds of Great Britain. A very strong, yet docile pony. Height: 12.2 to 13.2 hands high. Colour: Black, Brown, Fox colour with silver mane and tail. 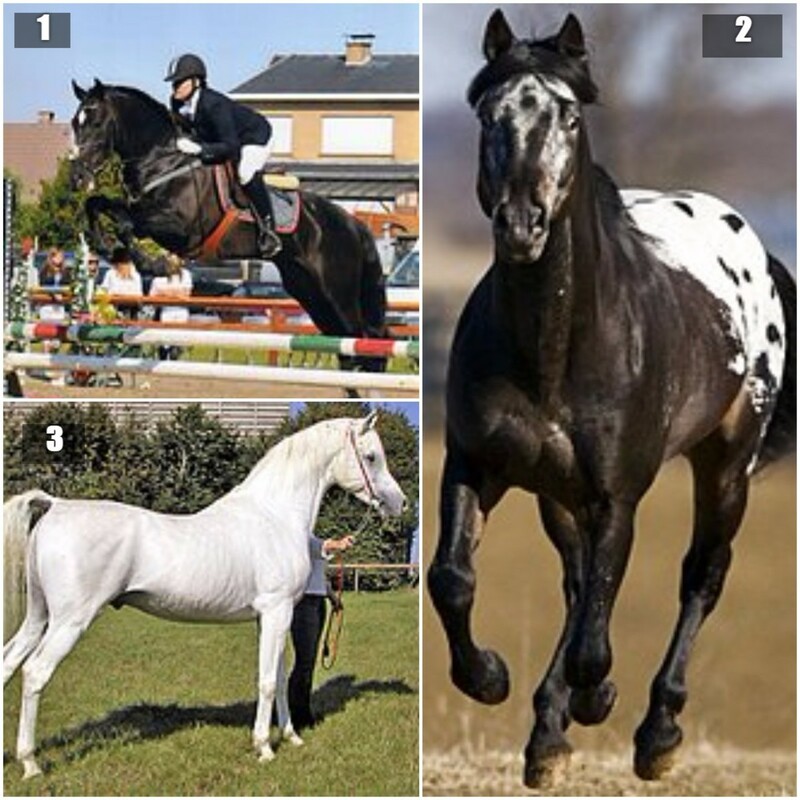 The Holstein horse is a German breed of horse believed to date back to the 13th century. 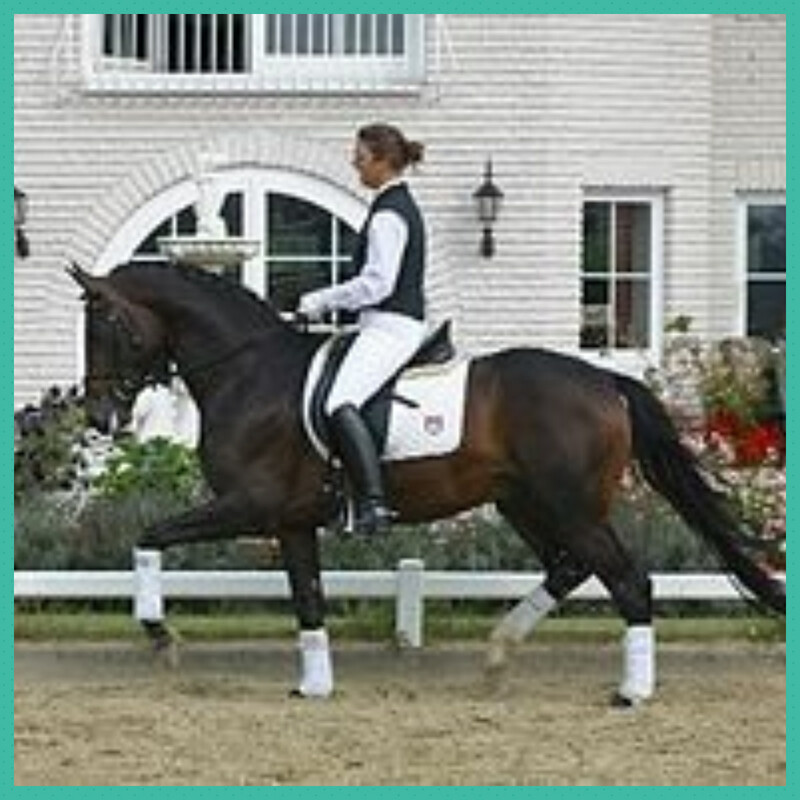 This particular horse is well represented in show jumping, dressage and combined driving events. It is a powerful horse. Height: 16 to 17 hands high. Color: black, dark brown, grey and sometimes chestnut. The Hucul Pony is one of the oldest breeds of native pony in Europe. Like all mountain breeds, the Hucul is tough and hardy. Often being used for packing goods across mountain paths. Height: 12.1 to 13.1 hands high. Haflingers that are entered in the horse breed's stud book are traditionally branded with the mark of an alpine flower. The Icelandic pony is believed to have descended from the North European Forest pony and the Celtic pony. It may well have been introduced into Iceland by Viking age scandinavians around 900 AD. Height: 12.3 - 13.2 hands high. Confirmation: A strong, sturdy and stocky pony with a large head and a short thick neck. The Jutland is a heavy horse from Denmark. Height: 15 to 16 hands high. Colour: Predominantly dark chestnut with a light mane and tail. Confirmation: A heavy and somewhat plain head. A kind expression and a short, thick neck. A very deep body and a broad chest. Short limbs. The Karabak horse is from the Caucasian districts which are a part of Azerbaijan. This breed is mainly Arabian in confirmation. 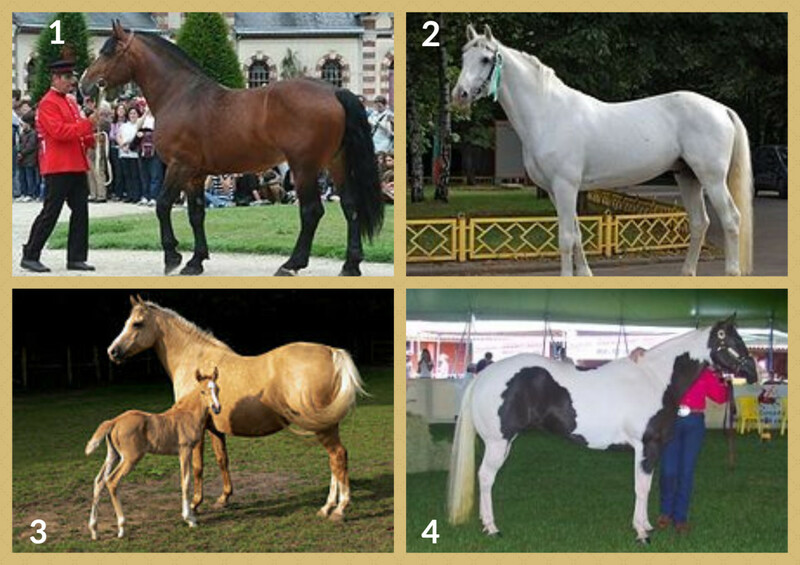 They tend to have a golden color that is unique to this horse breed. It is considered a beautiful horse by many observers. They are noted for their speed and good temperament. Unfortunately, this is rare breed with diminishing numbers. Color: Chestnut or bay, but with a characteristic golden tint. The Konik pony is an ancient breed from the lowland farm areas of Poland. The Konik retains some characteristics of the Tarpan. With small ears and eyes, a short neck and good depth of girth. More recently, the Konik has been recognised as being capable of helping with the restoration of wetland area's due to its grazing habits and has been introduced into several wetland conservation sites. This large pony breed originates from Nigeria. It exhibits many of the features of a horse and is often mistaken as such. Height: 14.0 to 14.2 hands high. Confirmation: A plain looking head with small but alert ears. Short neck with slightly sloping shoulders. A deep chest and a short back. The Noriker horse was bred and developed over thousands of years in the mountains of Austria. It is a draught horse being strong and hardy. The Noriker horse is well known for its calm temperament. 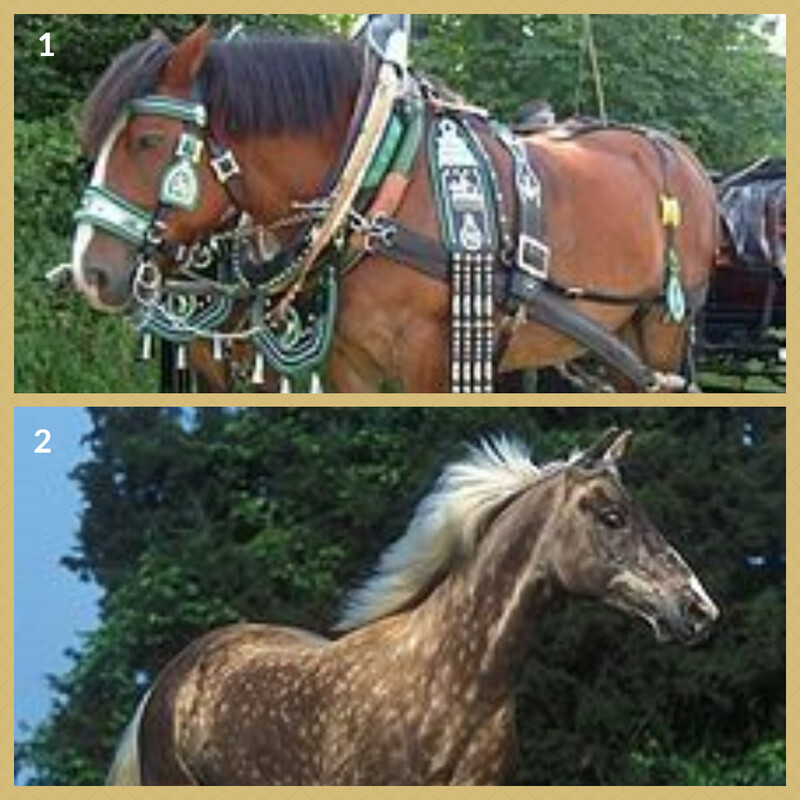 This breed is a light draught horse which is still used on farms today in Normandy, France. The Norman Cob is a compact horse. Color: Chestnut, bay, sometimes red-roan or grey. The Orlov Trotter is a Russian breed of horse that originates from 1777. They are very much valued for their beauty and elegance. A handsome horse with a small head. A broad chest and strong muscular legs. 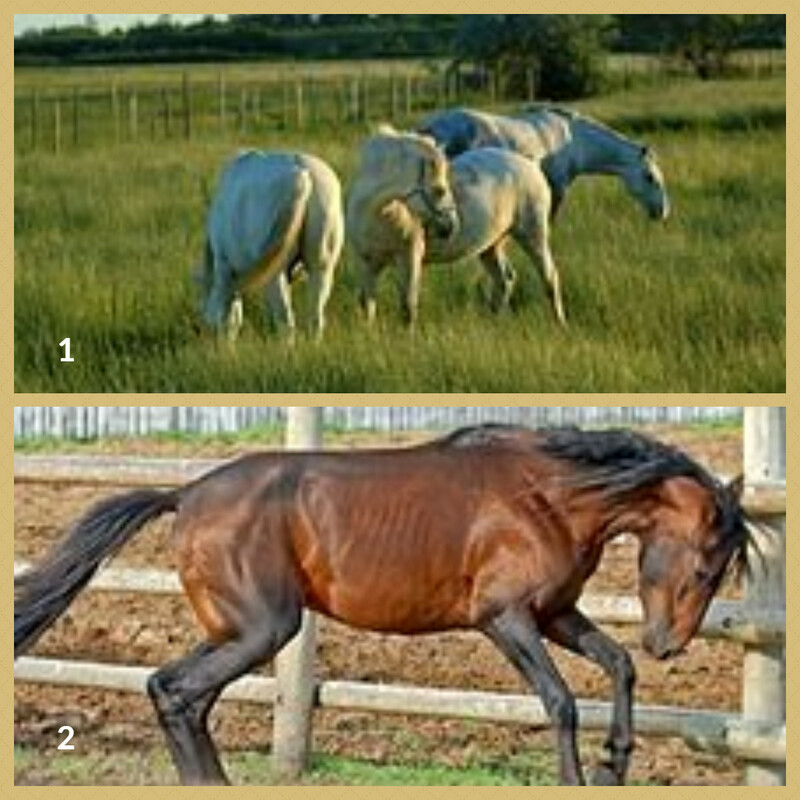 The Palomino is such a popular horse type, that I found it impossible to leave it out of this guide. The name Palomino refers to the golden colouring. Height: 14.0 to 17.0 hands high. Colour: The body colour of gold coin, with a white main and tail. Height: up to 13 hands high. Colour: Mostly bay, black, dark brown or dark grey. Confirmation: A coarse head with a small eye. Light and narrow in the frame, with legs that are fine in the bone but strong. This particular horse was only introduced about 100 years ago and comes from the Rhein Province of Germany. It is a deep chested and powerful draft horse which is well thought of for being of good character.. This is rare breed which is few in number. Colour: Sorrel roan and brown. This a new horse breed that has only recently been developed. The Rocky Mountain horse is bred to be very calm with a kind temperament. This horse is used for riding as it has a smooth gait, meaning that it is comfortable for riding over long distances. 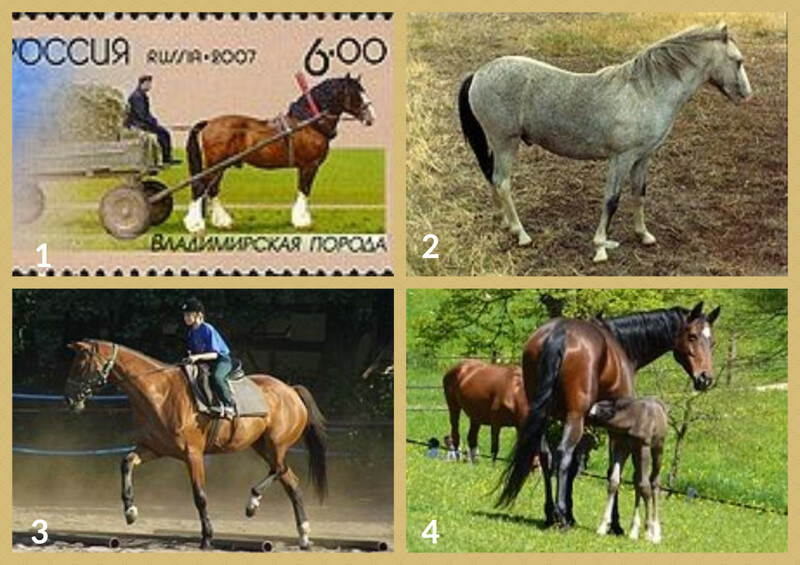 This horse breed was introduced into Russia in an attempt to create a fast trotting horse. It was bred from American Standardbred stallions and mares between 1890 and 1914. It was only in 1950 that the breed was fixed and the Russian Trotter received official recognition. Color: Mainly bay, can be black, grey or chestnut. A breed of horse originally from a province of Denmark. In the Middle Ages this medium sized draft horse was used as a saddle horse to carry heavily armoured knights. By the 19th century it was used as an artillery horse and heavy cart horse. Today they are used for farm work. The Shire Horse horse is a large English horse capable of pulling huge weights. Often associated with the pulling of brewery wagons, but is also used in forestry. Colour: Predominantly black or grey but can come in many colours. Confirmation: legs usually have white stockings. The Skyros Pony is a very rare pony from the Greek Island of Skyros. This pony used to roam in herds, but these day's it is mainly kept by individuals who use it for harness work and riding. The Skyros pony is lightly framed, with a short neck and weak hindquarters. It stands up to 11 hands high. The Tersk horse comes from the Caucasus. It is a horse with a distinctly Arabian look about it. Colour: Predominantly light grey, or white with a silvery sheen. Confirmation: A refined and elegant horse. This pony is well thought of in Australia and New Zealand. They are mainly used for stock work. They are tireless and sure footed with a willing temperament. Height: 10 to 12 hands high. The Trakehner Horse originated from Prussia. It is a very ancient breed. This horse can be any solid curry. Height: up to 16.1 hands high. Colour: Predominantly bay, also black and chestnut.. Confirmation: A large and long head with a long and muscular neck. A broad back and long limbs. An old established breed of pony. The Welsh Cob has inherited many of the hardiness of the mountain pony. The Welsh Cob is a great pony for the farmer, being useful for all kinds of harness work and cable of pulling a big weight. Colour: Any color except piebald or skewbald. Confirmation: Small head showing quality, small prick ears. Strong deep girth with very powerful quarters. Short but strong legs. The Wielkopolski Horse is a fairly new breed of horse that developed in western Poland during the 19th Century. This horse is a versatile with an excellent temperament, yet they are strong and hardy. The Wurttemberg Horse originated in Germany in the 17th century. This horse breed has an excellent temperament and supposedly, cheap to feed. They can be bay, chestnut, black or brown in color. How Big is a Draft Horse? I hope that you have enjoyed this article. @brianvallois lm: Thank you. 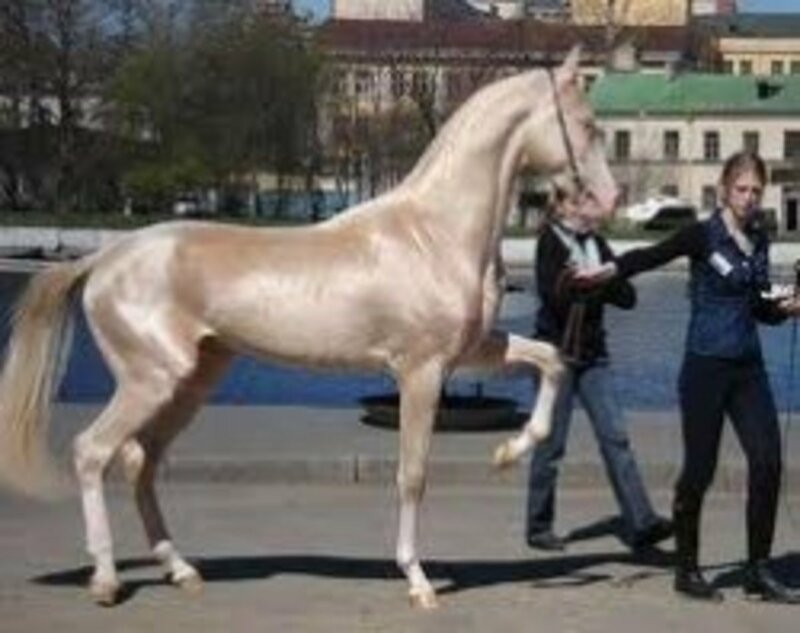 The Akhal-Teke is a very eyecatching horse. Great lens, i love the look of Akhal-Teke Horse. Very enjoyable and informative lens. Thank you for a wonderfully comprehensive lens, especially the wonderful images. The first animal I learned to draw was a horse, the first author I read when I got my library card was Walter Farley. I purchased you first horse at auction at age 14. I love horses! They taught me about trust, and responsibility. @delia-delia: Thank you. Arabians are such great horses. Nice informative lens on horses! I bred Arabians for 15 years, they are my favorite breed. Enjoyable and interesting lens about the horse and its origins. Beautiful lens about beautiful animal. Horses have very special place in human culture, I think in many ways they are even more popular than dogs and cats. Great reading! @greenqueen09: Shire horses are such characters. The White Shire Horse is beautiful. Thanks for the info! @DANCING COWGIRL: Thank you - very much appreciated. You really did a nice job of showing some beautiful horses. Cowgirl Approved!! I love horses of all kinds and sizes, but am particularly fond of draft horses. 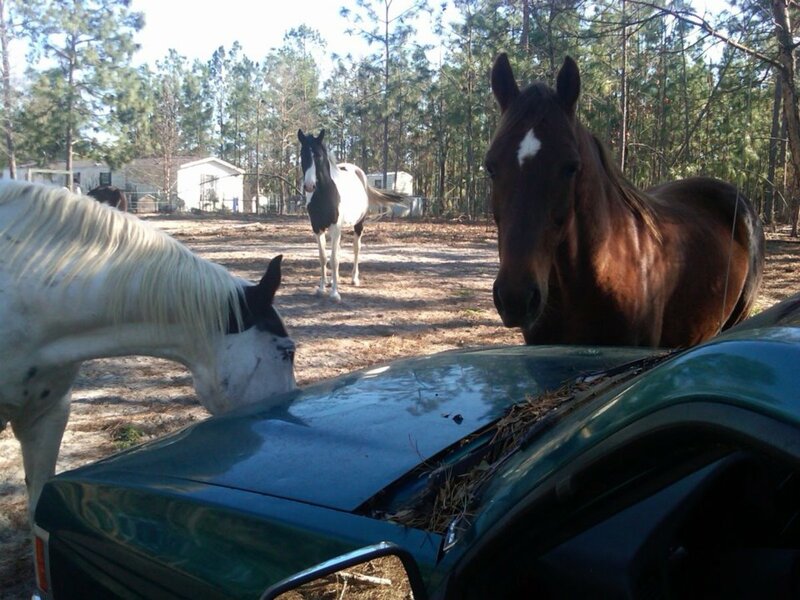 @lesliesinclair: Thank you - horses are such a fascinating subject. This is a wonderful resource for anyone who wants an introduction to horse breeds. @Linda BookLady: Thank you. The Friesian is such a distinguished looking horse. 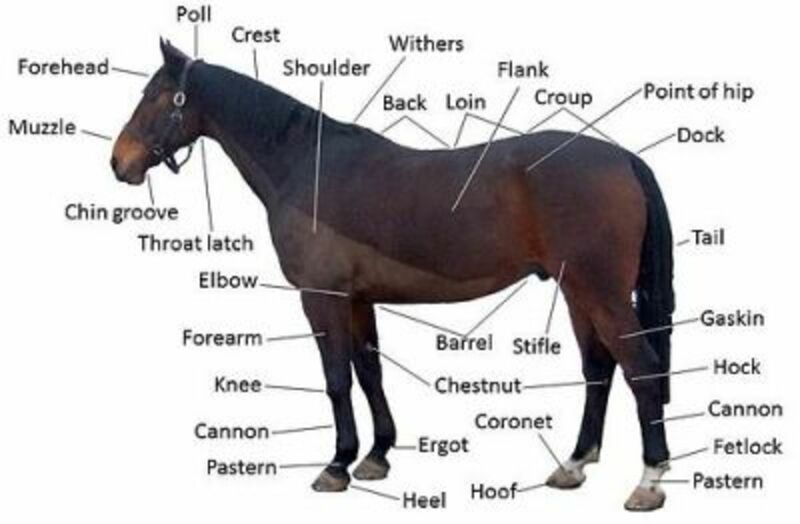 Great reference for horse lovers! 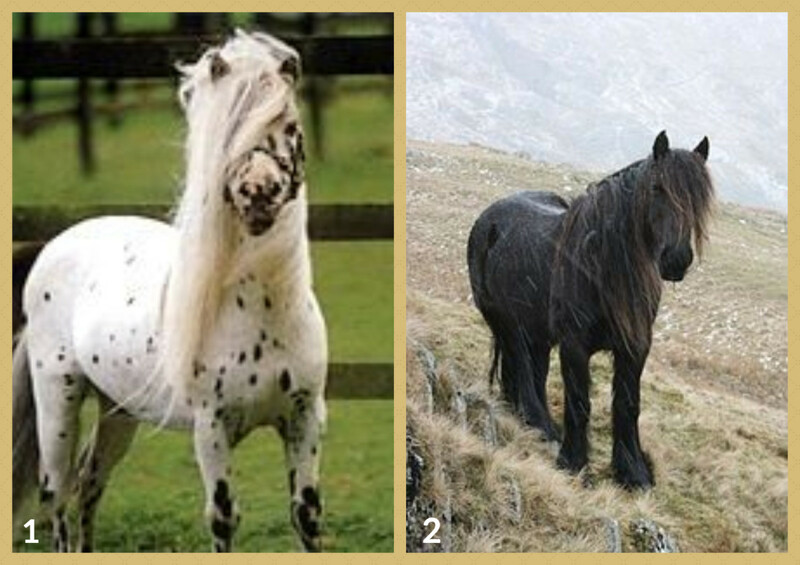 My favorites are the Friesian and the Clydesdale . @LauraGraig: Thank you - very much appreciated. Very informative and interesting lens. Well done! @ATTHED LM: Thank you. Haflingers are an amazing breed of horse. Horses have always been one of my favorite animals. They are so majestic and beautiful! Here in Hamburg N. German Haflingers are quite popular. The lens is really informative and includes a lot of the breeds, but you have omitted many. Perhaps you left room for a further lens on this interesting topic? I hope so because I found what you did include very interesting. @soaringsis: Thank you for visit - always appreciated. I enjoyed your lens and looking at the beautiful horses. Thanks for sharing. Welsh cob! Freisian! Clydesdale, Thouroughbred, Suffolk punch! I love how you did this for everyone's comfort level in learning, I wasn't aware how much I didn't know but do now, thanks to you! As a kid, I was fascinated by horses. You might want to add the Cracker horse to this list of breeds. They were developed in Florida. Love it! I am doing one very similar.. GREAT horse lens!